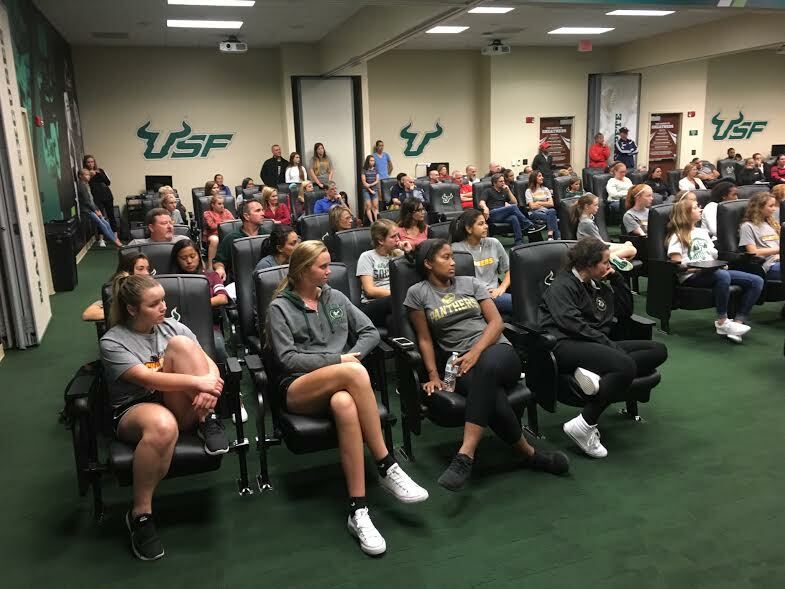 Last night, Monday 2/6/17, USF Women's Head Coach Denise Schilte-Brown, conducted and hosted a Women's Only Chargers SC Only College Seminar and other matters pertaining to women's soccer and the female athlete and the student-athletes daily commitments for success. 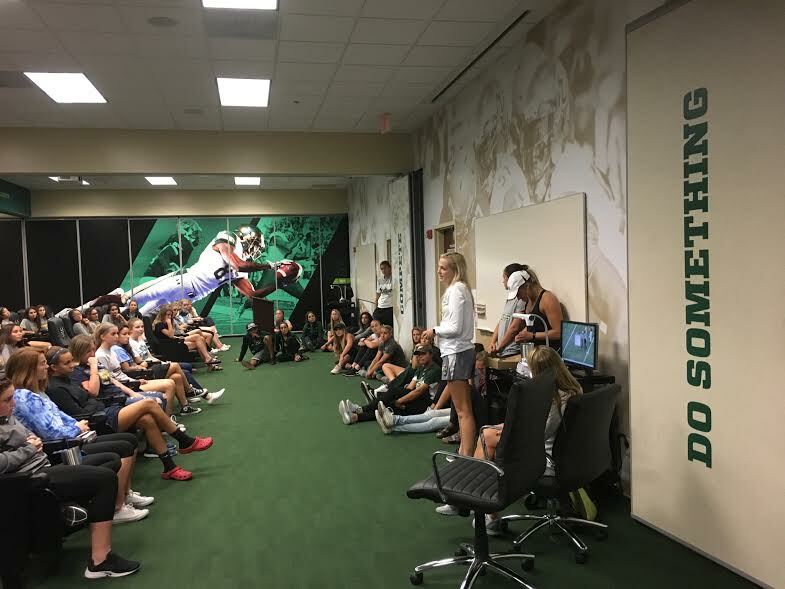 It was held at the USF Lee Roy Selmon Athletic Building at the Tampa USF Campus and included a tour of the facility. 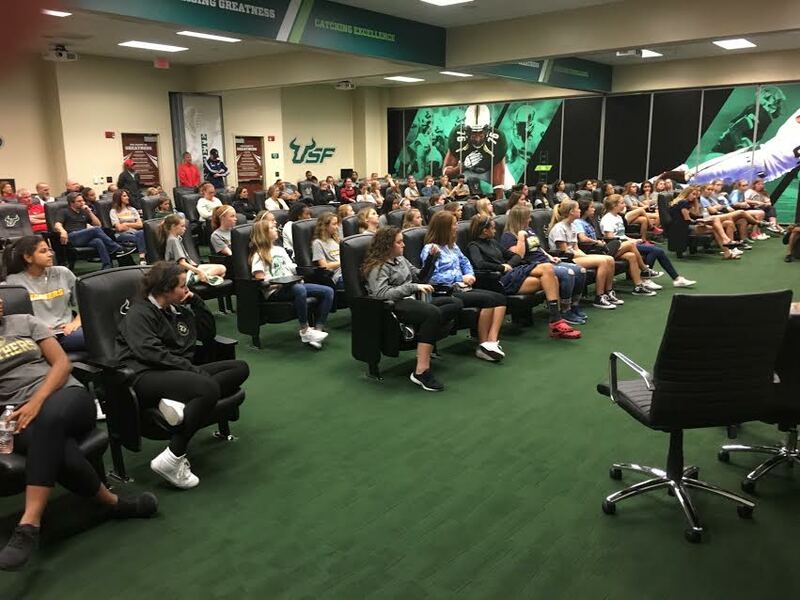 120 Female Charger players & families attended this informative seminar providing details about the woman's college preparation and recruiting processes and were able to hear first-hand from Coach Schilte-Brown and members of her team. 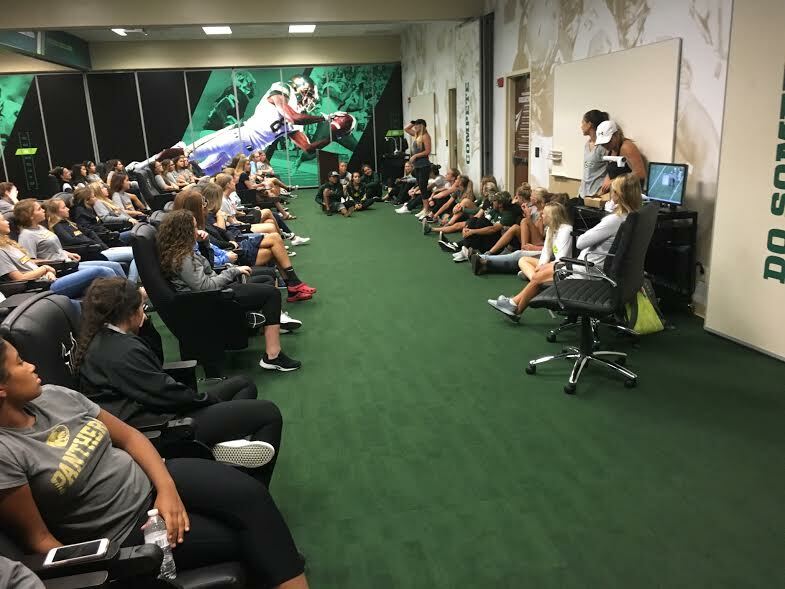 USF players spoke about a day in the life of a USF student-athlete soccer player. 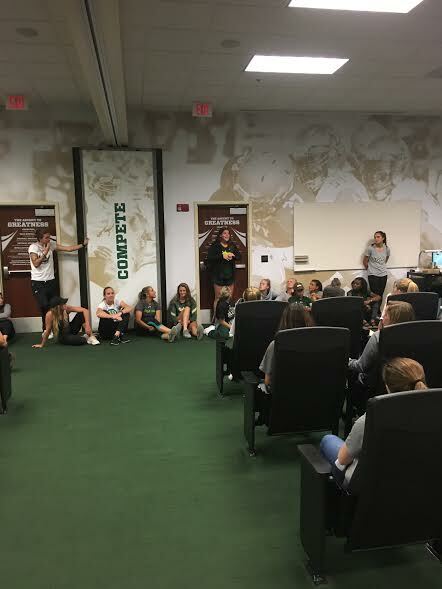 It was also great to see Former Tampa Chargers player and now USF player Hanna Seabolt who spoke at the Chargers at the College Seminar!